Last month, RAM Records Andy C boss posted two words and a countdown clock, and left the world wondering ‘What next?’ for five long days. After speculation across the board from fans and media, his revelation was not one to disappoint. 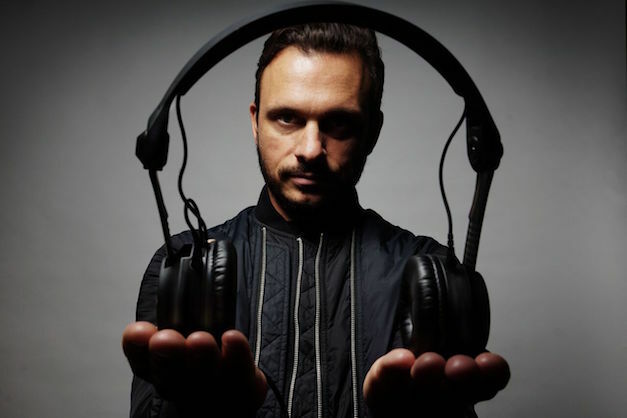 Andy C, aka The Executioner, will be the first quarter resident of London's XOYO nightclub, making his new home at the venue every Friday night during a 13-week run between January and March next year. 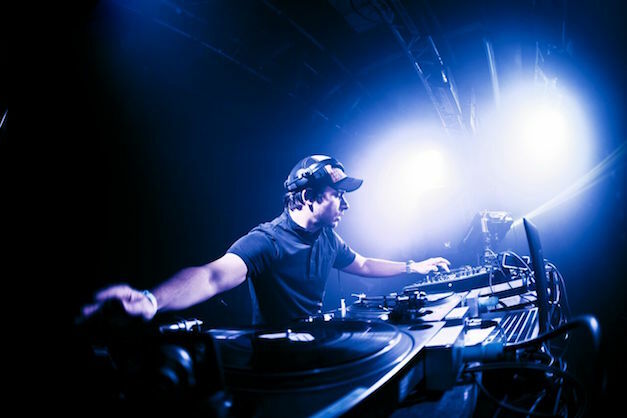 After selling out Alexandra Palace to over 10,000 people and now drawing his Andy C Presents tour to a close, it seems the drum & bass pioneer wants to step back the huge production, the light shows and the massive arenas. Instead he'll be heading to an intimate 500-capacity basement each week, bringing a slew of second-to-none guests from throughout his history. You have performed at possibly every big festival and venue across the globe for decades now, yet you claim that this residency is something you have dreamed of for years. Why is that? “I have played at all these amazing festivals and in incredible clubs like you say, but I have never done a weekly residency! Every time I finish a set, wherever I’m playing, I find that there is a whole world of tunes I didn’t play. Let’s rewind back to when you were only 16, and you got your first ever residency at Telepathy in Wax Club, London. Talk us through those Friday nights? “I’d get the bus down to the club. In the early days of it, it was just me sitting and waiting around really. Sometimes from 10pm until 6am. I would wait for someone not to turn up. Then I used to go outside the club afterwards and hand out flyers! “At that point, ‘Valley Of The Shadows’ was out — the point I’m trying to make here is that I had a really big tune. But it’s not like nowadays where you have one really big tune and you’re suddenly headlining here, there and everywhere and you’ve got a DJ rider. You say that these sets are going take us through drum & bass history… How far back are we talking here? Is Origin Unknown going to make a comeback perhaps! “[Laughs] Yeah the tunes might! I’m sure Ant will pop down, and have a few drinks and soak up the vibes. We are going to go from way back when, and we are going to go to the future! Your fans are used to seeing you perform high up on massive stages, yet for this, everyone is going to be within just a few footsteps of you in an underground basement. How do you feel about being more intimate with your crowd? “Sometimes I can’t even see past the first few rows and I can’t see to the back. So I love the feeling of everybody being up close, seeing the vibes in the crowd and getting that back-and-forth coming on. Everyone is dying to know, what names will be supporting you throughout the 13 weeks? “So far we have got so many artists! We have Ivy Lab and Kasra. We’ve got the old ones as well, Randall is coming down and so is Dillinja. Ed Rush & Optical will be there. There’ll be some jungle vibes with Kenny Ken and Bryan G.
You’re going to be a busy man every Friday next for the next few months! We are curious to know, what does Andrew Clarke get up to behind closed doors when he’s not working? “Sleeping! [Laughs] No I wish. What have I done this week? I’ve gone to the football, I’ve been down to the pub... I don’t think I have time for hobbies doing this! “After this interview I’m going back to the studio to listen to some new tunes, then I’ve got to get on the road and go down to Brighton to play a 3 hour set to 4000 people. You founded RAM Records, established yourself as one of the most iconic names in electronic music and of course, earnt yourself the title ‘The Executioner’. Have you have accomplished everything, or are there still more dreams to be made? “There’s always more dreams to be made. That’s what life’s about isn’t it. I’m very lucky and privileged to be sitting here, talking to you, about an incredibly exciting adventure that’s going to happen at the start of next year. Who would have thought it? Do you think you’ll ever stop? “I’ll never stop. I’m a bloody DJ, do you know what I mean? Why would you stop! Do DJ’s give up? Retiring is not an option. Andy C's XOYO residency runs from Friday 6th January to Friday 31st March, for more info and tickets head here.